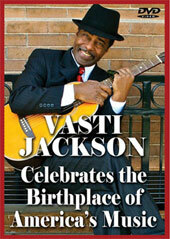 Vasti Jackson received his first Grammy nomination under his own name for his CD "The Soul Of Jimmy Rodgers." The album will be competing in the traditional blues category. 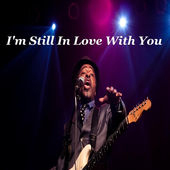 Get Vasti's new release "I'm Still In Love With You"
Vasti's new release "I'm Still In Love With You" is a testament to the fact that true love never dies. Passion lives forevermore, and grows stronger with every kiss, and embrace. Share this delicious sensual sonic delight with that special someone, and let them know that you are still in love. 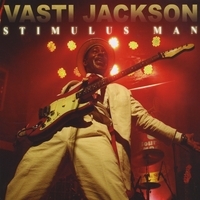 Vasti Jackson is a force to be reckoned with in the world of the Blues. As an artist, Vasti is known for sweat-drenched, soul-ripping performances marked by some of the most stunning and innovative guitar playing in Blues today. Always on the move, Vasti's firey guitar work and stellar vocals leave a lasting impression on all that are lucky enough to see him. The vibrant energy, passion, love, and ecstasy of America's most exotic city put to sound in an exciting mix of um um, so so good, can't get enough, and gimme some mo of sho nuff fonky stuff music!